You are here: Home / Home Decor / 12 Crazy Cool DIY Home Decor Ideas to do this Weekend! 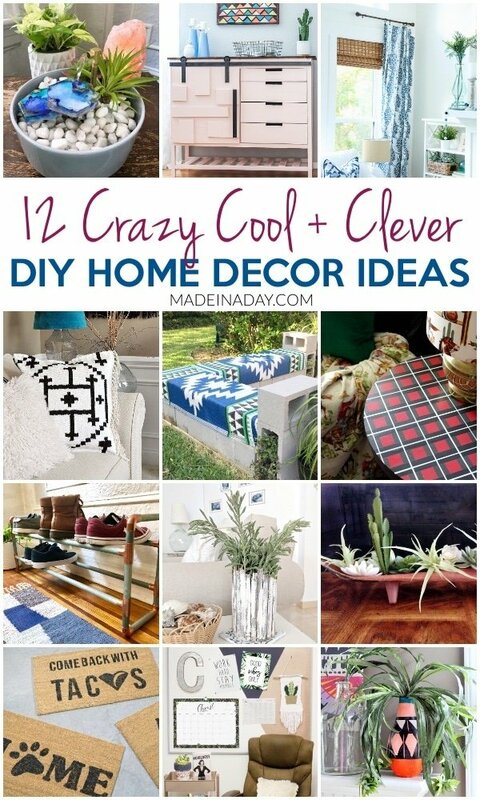 12 Crazy Cool DIY Home Decor Ideas to do this Weekend! Want to make a one of a kind piece for your home? Then these 12 Crazy Cool DIY Home Decor Ideas will get you started. For more fun DIYs see my Home Decor page. Hi Kim thank you for including my cinderblock bench. So many cute ideas. I need to go check out that colorful vase and I have a vintage Kilim rug full of holes that may now become pillows. Kim, Thanks for including my tin vase to the fun features!! Happy Monday! !